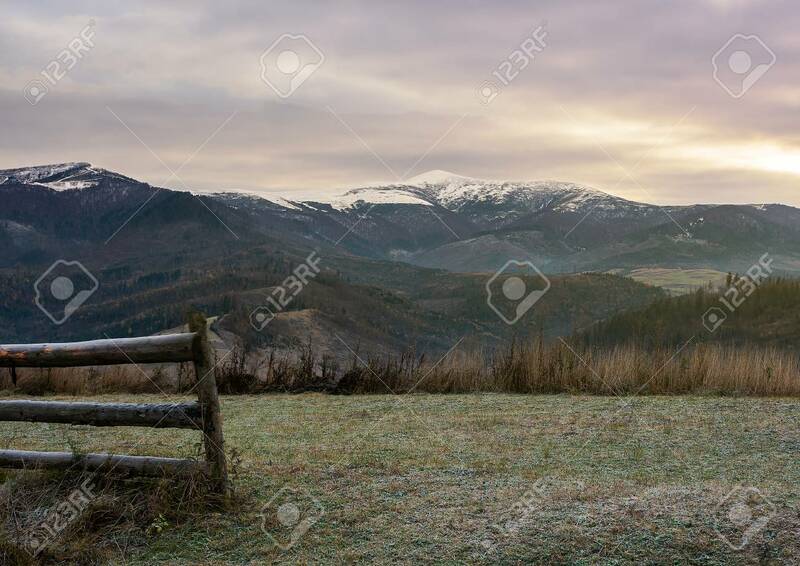 Wooden Fence On Meadow With Frozen Grass. Mysterious Late Autumn.. Stock Photo, Picture And Royalty Free Image. Image 108882724.